The minute I found out that I was getting a new nephew I, of course, started stock piling goodies and making everything I could think of to shower my sweet nephew with as much Auntie love as possible. Every new baby needs a squeezable, huggable bunny, right? 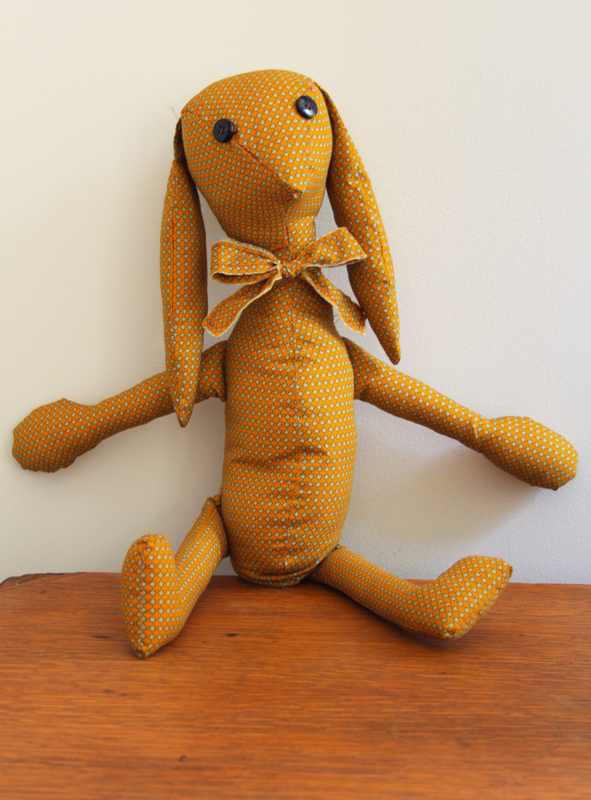 Here is a tutorial on how to make a this stuffed bunny rabbit for a new baby or for an Easter bunny gift . 1. Trace the legs, arms and ears in two sets making sure to mirror the two tracings in each set. Then trace both sides of the body twice, mirroring them. Trace the top of the head once and cut out all of your pieces. 2. Sew the legs, arms and ears by facing the pieces and leaving the top open so that you can turn it right side out and stuff with filler. Then stuff each appendage with poly-fill. Only stuff the ears half way so that they will hang down and be floppy. 3. Sew the top of the head to the body pieces making sure to face the fabric and to sew the ears into the head. 4. Sew up the sides of the body making sure to sew the arms and legs into the body as you go. You will need to measure where you place the arms and legs so you can be sure to place them symmetrically on the other side. 5. 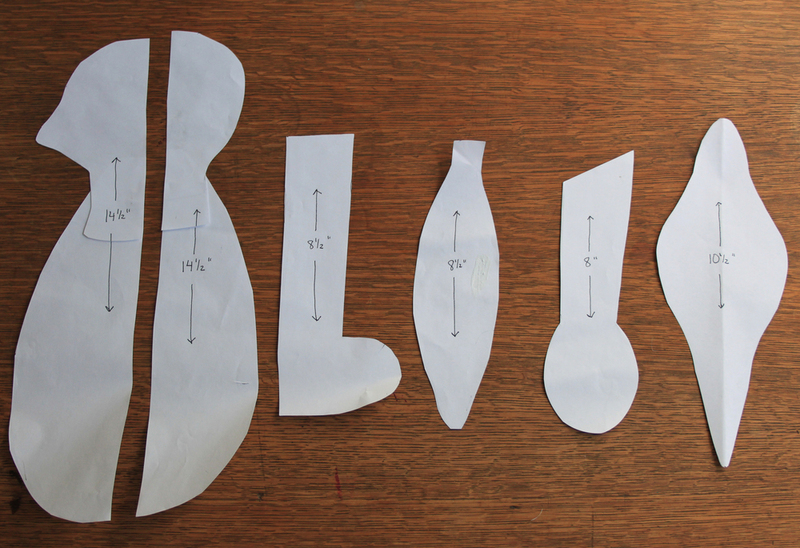 Sew the front and back of the body, leaving a hole at the bottom for stuffing the body. 6. Turn inside out and fill with poly-fill. Sew the the hole by using a loop stitch. 7. 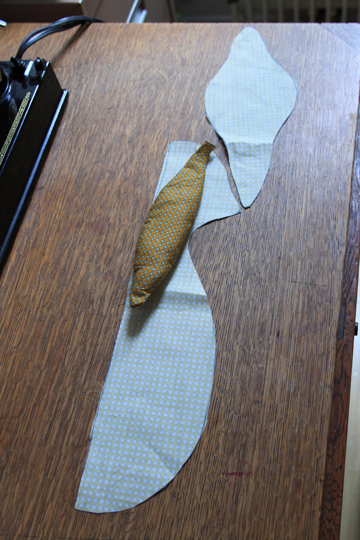 (Optional) Sew two strips of fabric together to make the bow tie. Sew buttons on for eyes.